In an effort to ensure safe and proficient waste management residential districts and businesses throughout the county are urged to play their role by responsibly disposing of garbage and other waste products in the appropriate manner. Despite these efforts the illegal and improper disposal of waste has become a growing concern in many major cities across the country. Posing serious threats to health and the environment, improper waste disposal has become a focal issue for government. In their attempts to handle this critical issue agencies such as the United States Environmental Protection Agency have been instituted to enforce and regulate the safe and legal disposal of trash however citizens like you and I can also devise clever ways in which waste can be reused, recycled or properly disposed. For most people just taking out the trash can be a daunting task furthermore having junk/trash that requires machinery or certain equipment to be removed. Whether it’s a small bag of kitchen waste or a depleted sofa there’s always something that people want to be rid of however the things that cannot be handled by the average householder themselves a junk removal services can be contracted to manage the task. Apart from this here are a few tips that people could utilize to assist them with waste around their homes or businesses. People could create a few individual receptacles to place waste items in according to their nature. A bin for metal, one for boxes another for backyard waste and one more for kitchen waste. This will help to keep waste well organized eliminating bulk and overload. It will also make it easier in terms of collection where waste management personnel can remove trash in an efficient manner. People should ensure yard waste is free of items such as metal, garbage, soil and stones. Yard waste should really consist of items such as leaves, hedge and tree trimmings, branches, grass clippings house and garden plants. If you have a garden yard waste can be recycled to make mulch or fertilizer. 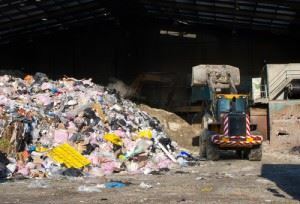 As for construction and renovation waste these materials require special handling as they can cause injury or serious harm to health if handled incorrectly. They are also not permitted to be collected curbside so contracting a junk removal service will be the best option to handle waste such as this. People should also maintain clear and safe access to receptacles for prompt and efficient pickup. So whether you have a specific set of items, E-waste or just general trash safe and proper disposal is the only guarantee to a safe and healthy home, community and environment. Contact us for more information. This entry was posted in junk hauling, junk removal, junk removal marin and tagged junk hauling companies, junk hauling services marin, junk removal marin on June 28, 2017 by mattverga. Last updated August 1, 2017 .